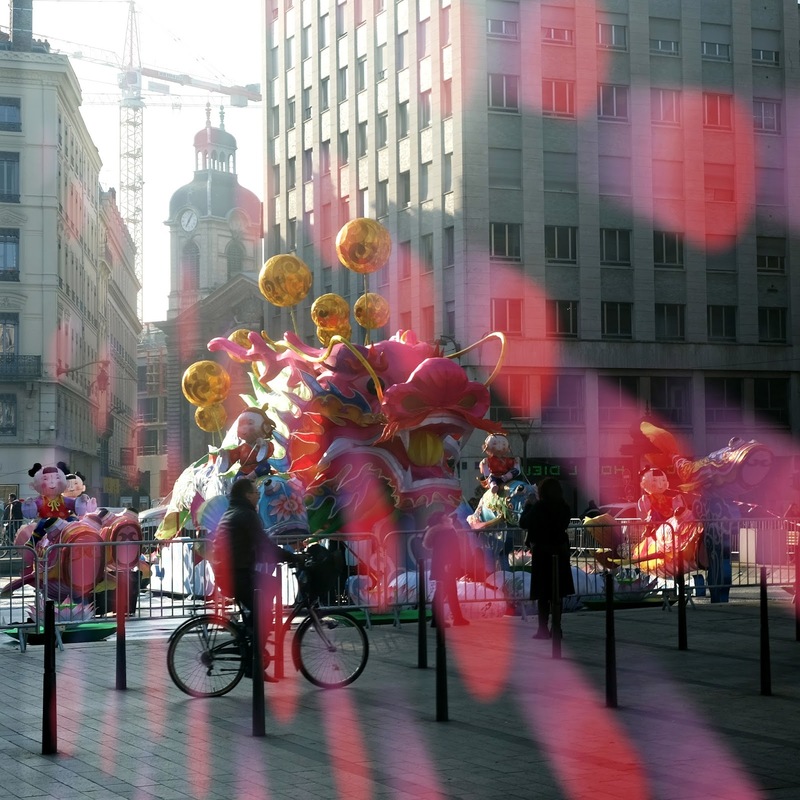 This is a reflection of a dragon, people and some buildings in Lyon. The dragon was part of Lyon's light festival (Fête des Lumières). It's reflected in a window. The red streaks are from a Fête des Lumières poster behind the glass. Thank you for being a part of Weekend Reflections! I hope that you all ring in the New Year with health and happiness! I'm back from my trip. I had a wonderful time, but I'm happy to be home. Thank you for your comments on my posts while I was away. I enjoyed reading them when I had free time and internet connection. I was in Paris for a few days and took this shot of a fountain in Palais-Royal. 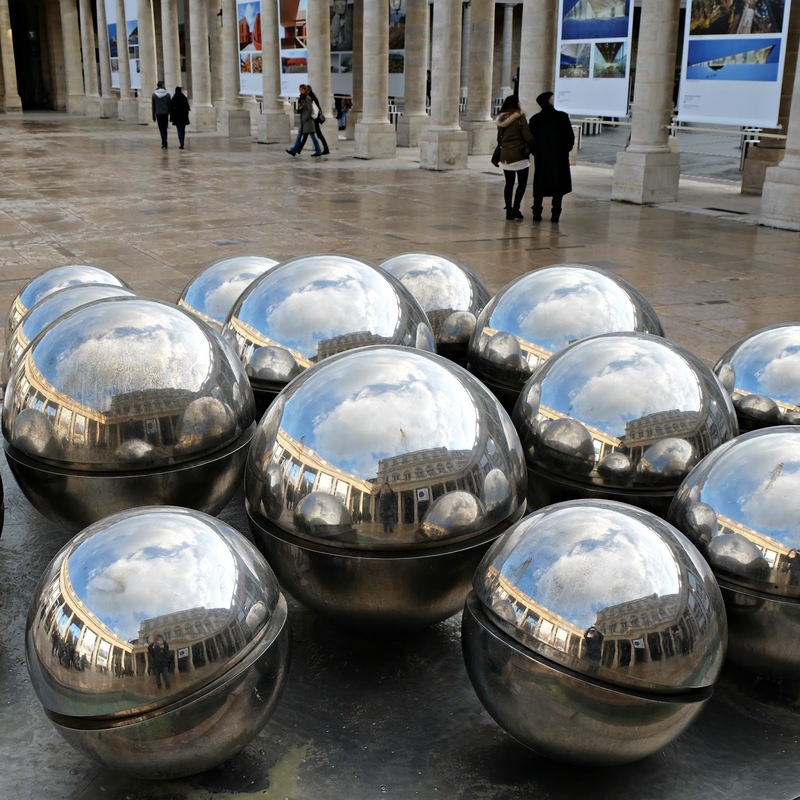 I wish the balls were cleaner, but they sure do make for some fun reflection photos. 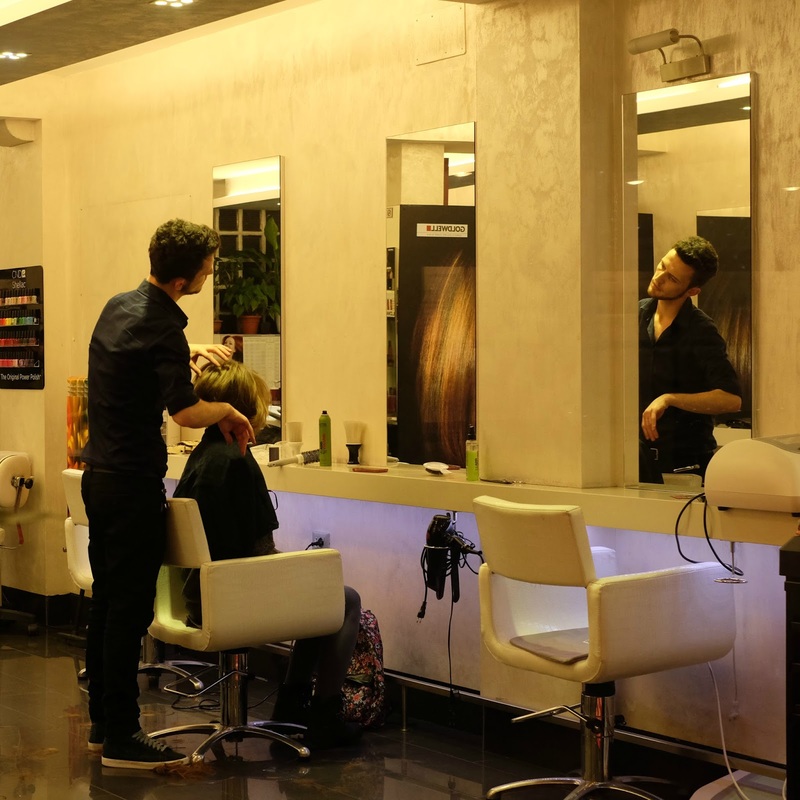 I peeked into a hair salon window during my 2014 Venice trip and saw the stylist's reflection in a mirror. I saw a subtle reflection so I took a chance. 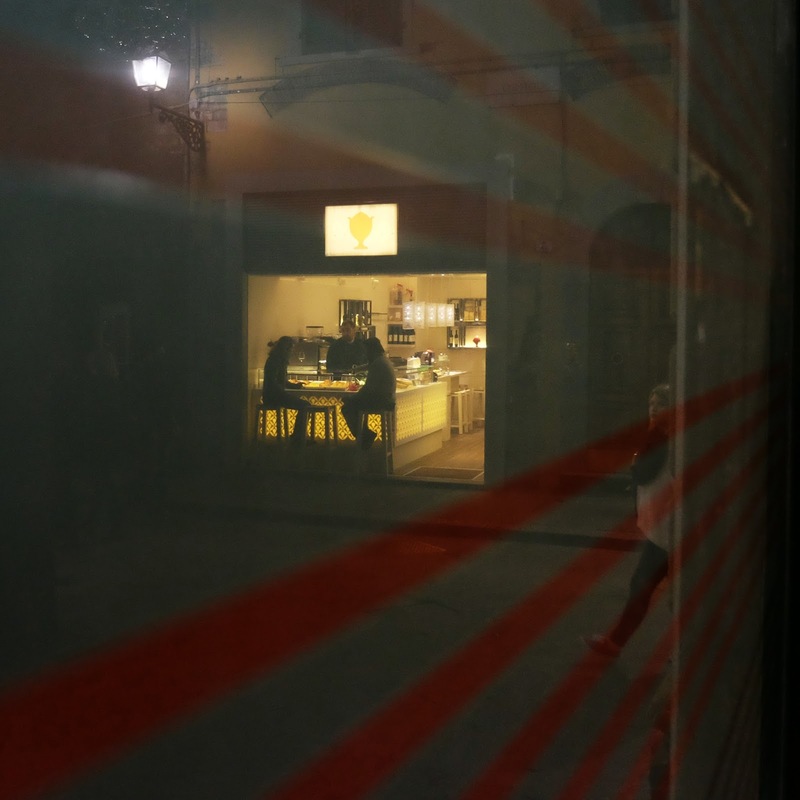 The window was frosted and had red horizontal stripes, so I wasn't sure whether or not the reflection of the little wine bar across the street could be seen in a photo.